Starting in Mitte, my first stop was at BQ Berlin (Weydingerstr 10), which hosts the second part of Richard Wright‘s one-year (!) show. This exhibition is a curation by the British artist, who additionally designed the current black and white patterned facade of the gallery. He assembled works on paper by the former Bauhaus-icon Josef Albers, a radical and politically informed sculpture by conceptual artist John Latham, as well as paintings by Irish artist Tony Swain. 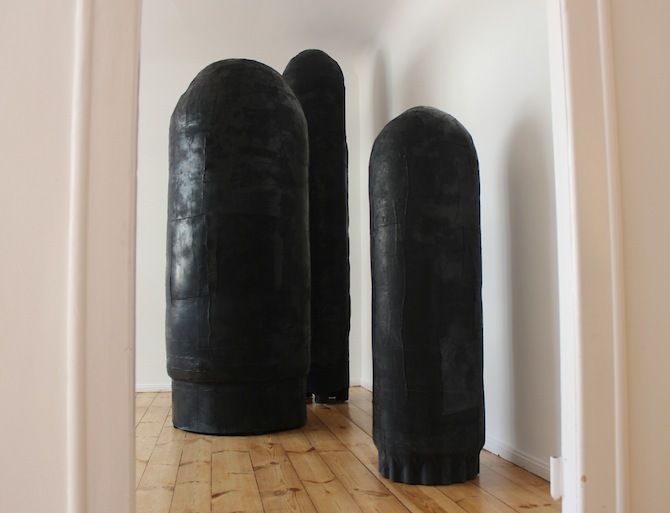 Upstairs, in BQ's showroom, Alexandra Bicken presents her massive sculptural works in her exhibition B.U.F.F – a military slang for 'Big Ugly Fat Fellow' for the Boing B-52. While she used the masculine, sexually-laden symbol of a motorbike for last year's Gallery Weekend, this time she decided in favour of dark phallus objects made of latex. Galerie Sprüth Magers (Oranienburger Str. 18) Berlin, which is within walking distance from BQ, presents three singular shows. 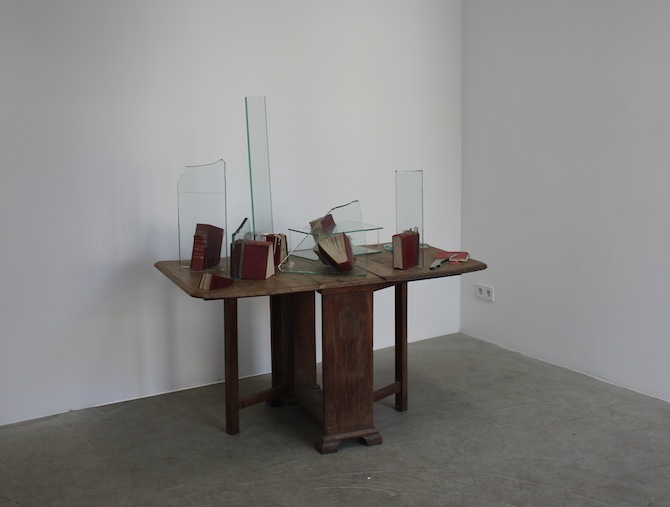 In a smaller room upstairs, the Swiss artist-duo Peter Fischli and David Weiss prepared the site-specific installation "Eine Ansammlung von Gegenständen", which can only be seen from the door's threshold and may easily be confused with a gallery's storage-room. 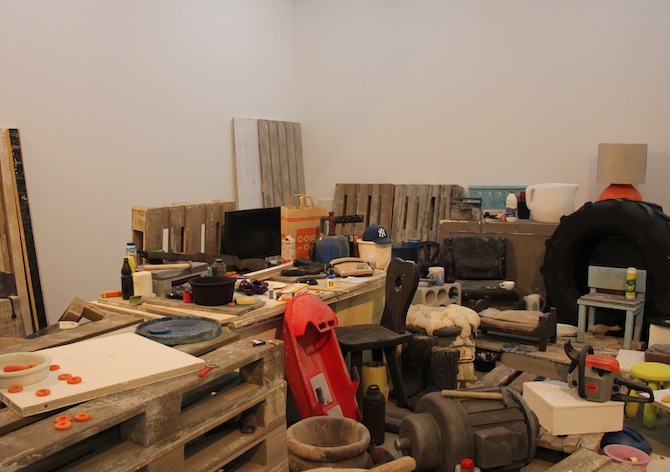 Appearing as used left-overs, such as europallets, tools, everyday-objects, Fischli/Weiss arranged a selection of handcrafted polyurethane objects that they produced within the last 30 years and never included in previous exhibitions. In that sense, these innocent objects represent a small (a very small) retrospective of the artist-duo. 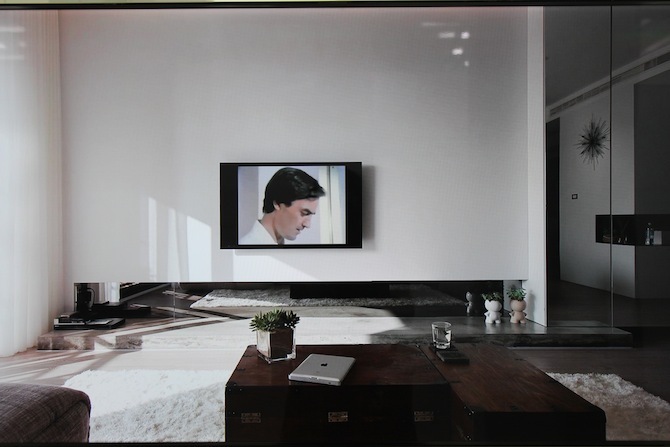 Downstairs, Sprüth Magers hosts a Reinhard Mucha show and one with photographies by Philip-Lorca diCorcia. 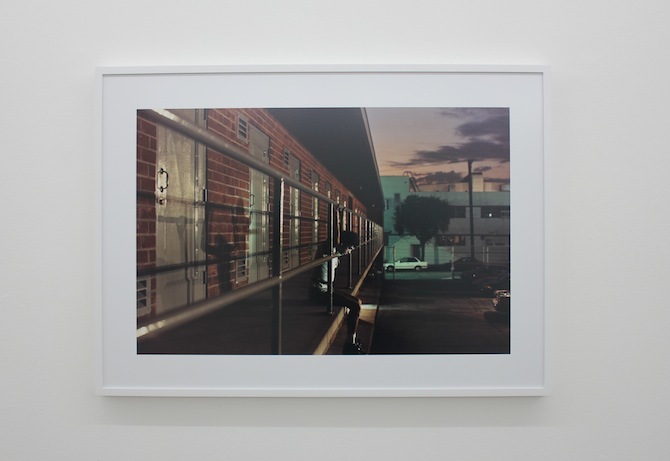 "Hustlers", the name of the photographic series, comprises staged images with male prostitutes in L.A., which diCorcia took in the 1990s. While the images gracefully present each man in an aesthetic and rough setting, the pictures' titles reveal the hustlers' names, their age, the place of the photo and the amount of money that diCorcia needed to pay them in order to make the photo. The American gallery Peres Projects (Karl-Marx-Allee 82) hosts an exhibition with new paintings by Cologne-based artist David Ostrowski. The minimalist "Emotional Paintings" play with the idea of a (painterly) mistake as an aesthetic flaw, while the artist withdraws inspiration, handcraft and personal affects from his works. All emotions are derived from the music Ostrowski listens to while painting in his studio. 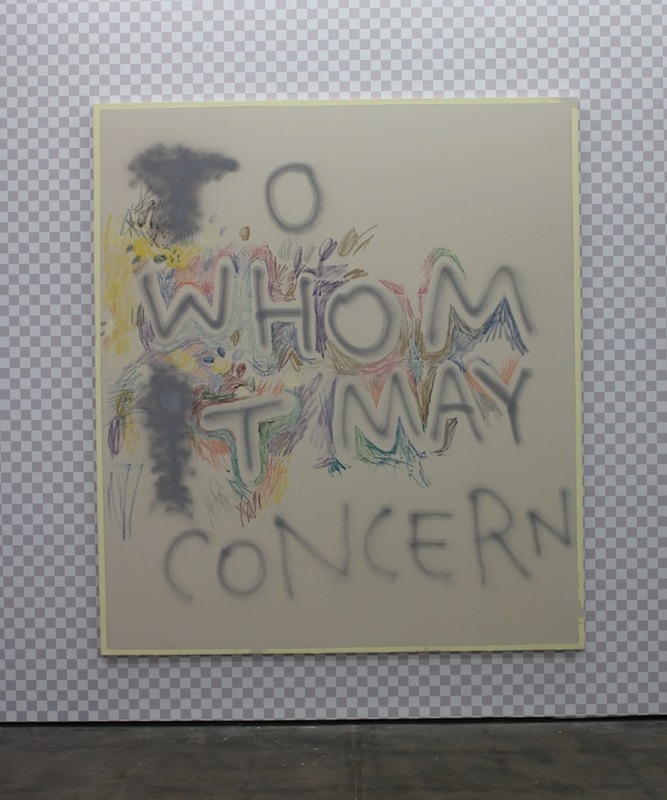 Only the humorous titles and painterly traces, such as a foot print, a quickly sprayed line or few painted spots reveal an identity of the large scaled works. 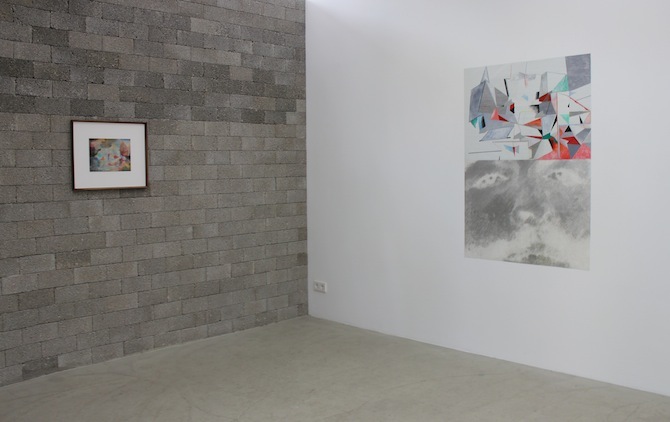 From Peres Projects it takes a while to get to the west of the city, where Galerie Wentrup (Tempelhofer Ufer 22) opens the exhibition "Somewhere sideways, down, at an angle, but very close" by New York-based artist Florian Meisenberg. And like Ostrowski, also Meisenberg tackles emotions and the lack of affect. Working with digital motifs and digital communication, the German 1980-born painter and installation artist created a number of beautiful and minimalist paintings that depict phrases, such as "To Whom It May Concern", smileys and geometric forms. Two screens are placed in the middle of the gallery: One showing Meisenberg in the shower, doodling a smiley on the foggy glass and another one, where he "talks" with the Apple's operating voice SIRI. 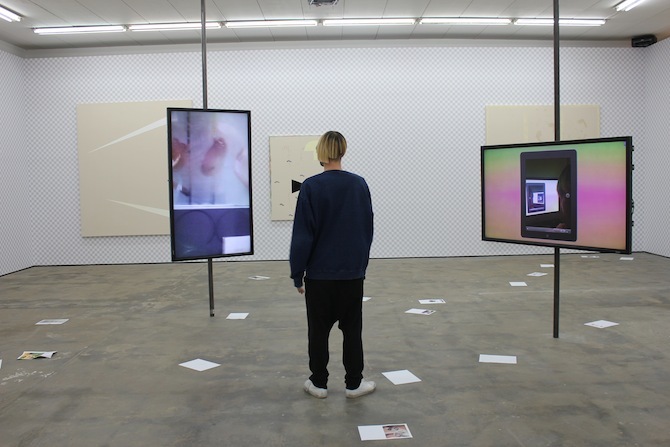 The wifi-printers are attached to the gallery's ceiling, continuously printing notes from the artist's friends and pushing the papers inside the gallery space. 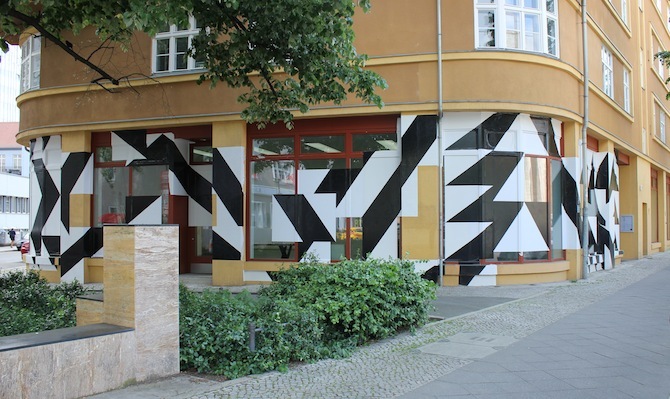 The last place to visit on my list is Galerie Esther Schipper (Schöneberger Ufer 65 / close to Potsdamer Strasse), which presents the solo-show "Revenon a nos moutons" by British installation artist Liam Gillick. Abstract and clean aluminum sculptures, which are typical for Gillick's work, each accompany a text, embodying (or suggesting) the words' semiotics and their content. The text is derived from the film "The conversation" by Francis Ford Coppola. 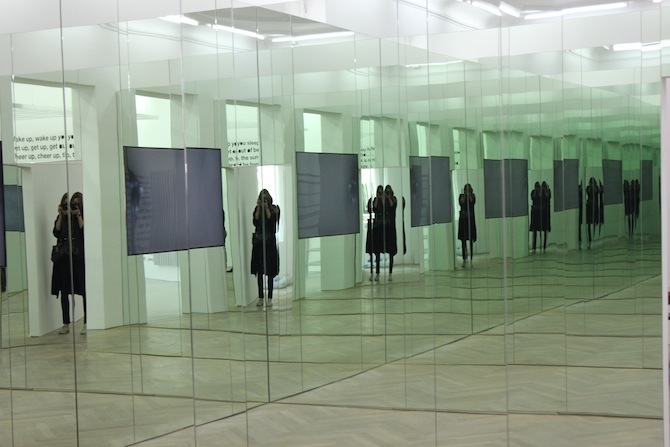 Next to this meditative and calm main space of the gallery, the artist presents a mirror-chamber installation that hosts his homage-movie "Hamilton: A Film by Liam Gillick".